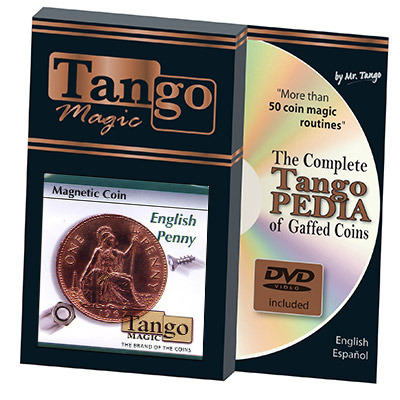 Today, when you order "Magnetic Coin English Penny (D0027)by Tango", you'll instantly be emailed a Penguin Magic gift certificate. You can spend it on anything you like at Penguin, just like cash. Just complete your order as normal, and within seconds you'll get an email with your gift certificate. Tango Magic produces the highest quality gimmicked coins in the world. Tango stands behind their products to guarantee your success. As a bonus to thank you for your purchase, Tango has included in this package a link Tangopedia, a four-hour instructional video. This video includes basic instructions for more than 50 gimmick coin routines using a variety of our specialty coins such as Expanded Shell-Coins, Copper/Silver/Brass, Scotch and Soda, Pen Through Coin, Folding Coins, Okito Boxes, and more. 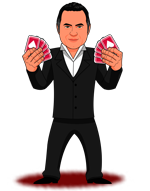 From this video you will learn the basics of using your new Tango Magic products as well as gaining insight into the amazing of possibilities the Tango line of coins provides.